Since 2012, Dr. Joshua Wilson has dedicated himself to optimizing the health potential of Edmond families. Wilson Family Chiropractic offers compassionate wellness care to all members of the community, but places a particular emphasis on the specific needs of children and expectant mothers. When Dr. Wilson was in his early 20’s, he was interested in physical fitness and subsequently worked as a personal trainer for four years. He had always had a strong desire to be in a helping profession but found that he felt unfulfilled in his role as a trainer. Once he finished his undergrad studies, he went into sales for a year, but again found himself very unsatisfied. He began to observe some of the people in his life who seemed the happiest — and many of them were chiropractors. During his time in chiropractic college, Dr. Wilson had the unique opportunity to travel to the Dominican Republic. He and his classmates were there to serve the local villages through free chiropractic care. His team alone adjusted over 500 residents, many of them children. Their enthusiasm and gratitude strengthened his purpose and deepened his love for his profession. His mentor did a few simple tests, looked into the eyes of the young boy and adjusted him. The chiropractor then turned to the family and said, “he’s fine.” Dr. Wilson and his wife immediately went from panic to calm. “I knew at that very moment that I wanted to have the same kind of soothing influence over distraught parents when their children were hurting.” The entire family was able to attend the graduation, while the signs of the allergic reaction simply faded away. 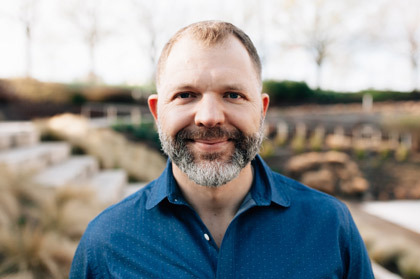 His mentor told him years ago, “You can make a living, or make a difference.” Dr. Wilson’s daily goal is to make a difference for at least one person, whether it’s helping a newborn to thrive, optimize a pregnancy, or help a child with ADD issues. These small victories are how he defines success. Dr. Wilson values education, so he’s continually updating his clinical knowledge, including 100 hours of acupuncture study. He also belongs to several community and state organizations, including the Chambers of Commerce of Oklahoma City, Edmond and Deer Creek, as well as the Oklahoma Chiropractic Association. Dr. Wilson and his wife have three beautiful boys, Cooper, Cade and Beckett. 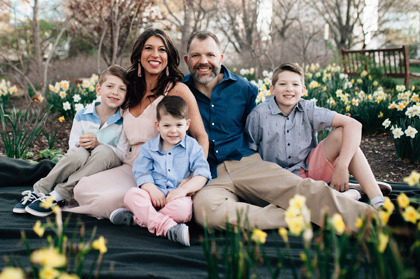 “We don’t know life without kids!” When he’s not helping his patients, he’s with his family, spending time in church, playing on the baseball field or hanging out in the backyard. Many charitable organizations have also benefitted from his attention, including the Oklahoma Food Bank, The Christmas Connection, Toys for Tots, the Salvation Army and the Edmond Boys Ranch. We’d love to have you join our happy chiropractic family. We offer same-day appointments and also accept walk-ins. We respect the time of busy families. We can help! Contact us today. 14511 N Santa Fe Ave.